Why do we get too enamored with details that don’t matter, and forget the big picture? How do we find the balance between taking time to “do things right” vs making sure we keep getting work done? When is it time to make a style guide, or create a deployment system, or restructure how things are organized, and when is that a waste? How can we tell? When should we refactor old code — or not? How can we fight the haze of getting so deep into work that we loose focus on why we are doing what we are doing? What is a full-stack developer? designer? How we tend to assume that more technology, more complexity, is always better. Is it? What is "The Internet of Things"? How will our lives be enhanced by having the internet woven through our physical world? Will that be better? What kind of devices can we expect? Will we need a separate app for every 'thing'? How might the web be used to connect devices? What is Google doing with their Physical Web project? What is Mozilla doing with their Fly Web project? How can anyone create an internet-connected physical object using Bluetooth and a beacon? What does it take to revise an existing site to be responsive? What are the biggest challenges? How can you get the whole team on the same page, understanding the complexity of modern web design? What about responsive web design is so hard? Why using PDFs generated in Photoshop to make final decisions is a lousy way to design. How a process that includes prototypes is much better. How to make big changes to the work flow inside a team. What we can learn from the past, the transition from analog to digital. The possibilities in design that open up once we modernize our content systems and workflows. The dangers of using a front-end framework. What’s wrong with the industry’s current focus on style guides? What does it take to design a true system of content and layout options? How might we start empowering content creators with tools for true editorial design? What is product design, and how is it different than other kinds of design? Who should design the product? How do you convince your colleagues that taking time for this process is important? We've all known for many years that the websites we use keep track of who we are and what we are doing. Lately though, it seems like things have gotten out of control. Surveillance has gotten quite sophisticated and intrusive, and we've become more aware of what exactly we are giving up in exchange for being online. Is this a problem? How bad is it? What can we do? What is tracking? What is being tracked? How is the data used? Who cares if ads are personalized? What’s the problem? Why should we care about privacy if we have nothing to hide? How are these business models changing the web itself? What is the role of VC funding in promoting corporate surveillance? How does a data-driven system impact human creativity? What are ethical concerns in collecting data? What kind of tools exist to help us? What will it take to save website from disappearing long-term? How do certain sites get saved? How can companies or people better preserve our web heritage? How digital files degrade faster and have a shorter shelf life than older forms of media. How that affects archiving, and increases the need to preserve as much as possible, so that later, when humanity is able to determine what is important to still have, the files do exist and are accessible. What might it mean to surf wikipedia.com as a virtual reality space? How in the world might a fully immersive web work? Microsoft announced that they will be introducing a new browser, code-named Project Spartan. Windows 10 will ship with both IE and Project Spartan, but Spartan is the future. What is happening? How is it that the oldest popular browser is going to end? Rey Bango joins Jen Simmons to tell all. What's the rendering engine in Spartan? How similar is it to IE? What's the web standards support like? Why is Microsoft changing browsers? What are the priorities for Spartan? Is that the name? When is it coming out? It's "evergreen"? What's that mean? How long will Internet Explorer stick around? Too often, websites are designed with only the ideal user in mind — a typical person, in great health and sound mind, happy to be on your website doing a thing. In reality we humans exist in a variety of states, including panic, fear and reacting to a crisis. How could our sites be better, considering the needs of people in crisis? What are the consequences when we don't acknowledge the impact of our design decisions? Eric Meyer joins Jen Simmons to talk about his last year and a half, what he learned, and what he's thinking. When should we think about users in crisis? What are the needs of a person in crisis? This week has been declared “Geek Mental Health Week” by Andy Clarke. He asked The Web Ahead to participate, so I invited yogi Peter Ferko to join me and talk about ways to find contentment, balance and sanity in a world that can be painful or overwhelming. How can we find contentment? What can a yoga or meditation practice do? The web was invented at CERN 25 years ago. To mark the anniversary, the web team at CERN has been working on a number of projects, restoring the original website, recreating the first two browsers and documenting the history of the early web. Dan Noyes joins Jen Simmons to tell all about it. We are currently experiencing a revolution brought on by digital technology. Changing to a digital world is not just about switching tools or building a new website; we are seeing giant shifts in how businesses operate, how companies are structured, how people buy things, how humanity communicates. Those of us who make websites are deeply affected by the tension and frustration within organizations struggling to understand this revolution. Paul Boag joins Jen Simmons to give practical advice on how to help organizations make the needed transformation. Rethinking the role of "the web team"
Typography is a powerful way to immediately communicate the tone and voice of a site. But how exactly do you create great typography? Jason Santa Maria joins Jen Simmons to talk about his approaches to designing with type. This week, Apple announced Apple Pay — a new system for making payments using iOS devices. What about the web? What work is being done to make sending payments across the web much easier? Manu Sporny joins Jen Simmons to talk about payments, banking, identity, privacy, business models, web standards and much more. Web projects have become very complex in the last few years, but the hardest part isn't the technology — it's the humanity. The success or failure of big projects is contingent on leadership, vision and planning. Trent Walton joins Jen Simmons to tell tales of working on the microsoft.com homepage and other big projects — sharing what can go right and what can go wrong. He also talks about reviving the original 1994 version of microsoft.com and the importance of archiving the web. App Cache, Web Storage, IndexedDB, and others are powerful new technologies that change the nature of the web. These technologies are mature and ready-to-use, but so far, we aren't seeing them be used very much. Why? What is possible? What could change? John Allsopp joins Jen Simmons to discuss. What are some of the biggest challenges when it comes to making a website fully accessible? Keyboard access and form design can make some of the biggest differences, and present some of the biggest challenges. Derek Featherstone joins Jen Simmons to explain. Has how we approach web design become too formulaic and rote? Are we missing the opportunity to truly communicate a site's purpose and meaning? What about web design have we lost, or maybe haven't yet found? How can we understand our work as designers when even words about our work fail us? Style guides, once the exclusive domain of print designers, are finding their way onto the web. Built out of HTML and CSS, such style guides are handy tools for the design process, for maintaining sites over time, and for making collaboration across teams much easier. Anna Debenham joins Jen Simmons to explain. What is the state of formal education for web design, and what might be coming in the future? 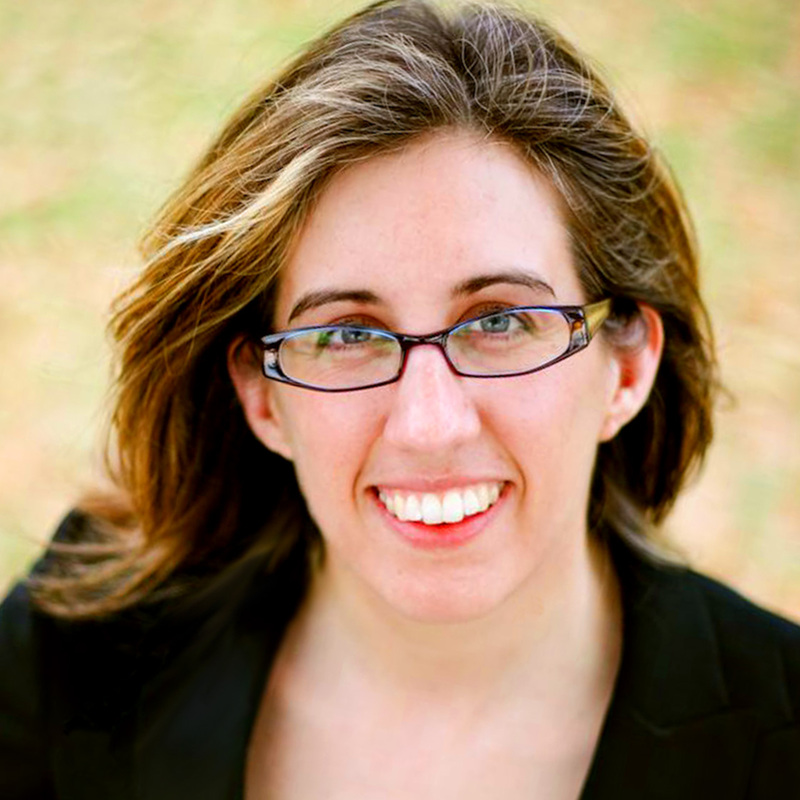 Dr. Leslie Jensen-Inman joins Jen Simmons to talk about her research, what's she's found, and the school she's starting with Jared Spool. We are collecting more data now than ever, and freely sharing some datasets on the open web. Web technology provides the power for us to present complex data interactively. How can you go about a data visualization project? What tools are available? Scott Murray joins Jen Simmons to explore the possibilities of data visualization. Walk through the Web Content Accessibility Guidelines (WCAG) 2.0 with Luke McGrath and Jen Simmons. A revamped version of Firefox is coming, with a tour of what's new. Created by Michael Verdi & team, this tour is a case study in customer experience. What is Customer Experience design and how can it help your projects? What's new in CSS? Chris Coyier joins Jen Simmons to talk about flexbox, grids, regions, shapes, and the future of layout on the web. Is the web industry moving away from waterfall projects and towards an agile-ish approach? Funny Garbage COO Kristin Ellington joins Jen Simmons to discuss how she structures client projects these days, and why waterfall isn't working anymore. Lea Verou joins Jen Simmons to talk about CSS, and tell us all about things we can do with CSS today that you might not know about already. Lea also tells us a bit about her adventure recreating the Line-mode browser at CERN. Web designer Steve Fisher joins Jen Simmons to talk about designing content structure, and his process for working with clients to best define the essence of a site's message. Wonder-developer Jeremy Keith joins Jen Simmons to debate comments on websites, the birth of the web, progressive enhancement, the desire for control, and much more. After many years of using Content Management Systems that store content in a database, there's a movement to store content in files instead. Jekyll and other tools, including GitHub, are springing up to create a new ecosystem of file-based tools. Young Hahn and Dave Cole join Jen Simmons to explain. Danny Sullivan joins Eric Meyer and Jen Simmons for the latest episode in The Web Behind series. Danny reminisces about the early days of web search, directories versus crawlers, the panoply of search engines in the mid-1990s, page counts as serious bragging rights, the brief period when there were search engines that only searched other search engines, the verbing of “Google,” and more. Jen Robbins joins Eric Meyer and Jen Simmons for another episode in The Web Behind series. They talk about the early days of web design, O'Reilly, GNN, wrestling with technology and more. Designer, speaker and author Andy Clarke joins Jen Simmons to talk about the process of web design. Andy starts with a rant about online criticism, and goes on to talk about techniques, tools and more. Molly Holzschlag has been working on the web from the very beginning of its invention. She joins Eric Meyer and Jen Simmons to talk about those days, and what it was like to be online in the time of BBSes, Gopher, and the text-only web. They discuss accessibility, the blink tag, the Web Standard Project, how Microsoft started embracing web standards and much more. CSS preprocessors are becoming very popular very quickly. Many front-end developers are finding them invaluable for coding increasingly-complex sites. Scott Kellum joins Jen Simmons to talk about Sass and Compass, what they offer, how to get started, and why you might want to consider adding such tools to your workflow. John Allsopp joins Eric Meyer and Jen Simmons for this first episode in our “web behind” series — a look back at where the web came from and the people who created it. They talk about early web design tools, community groups that shaped the web, thinkers from the mid-20th century who shaped ideas about hypertext, and much more. A special announcement from Jen Simmons and Eric Meyer. Web typography has taken off in the last few years. What is possible now? How do we create beautiful and functional type on the web? Richard Rutter joins Jen Simmons to explain. An all-you-can eat historical and technical look at web video. What's up with HTML5 and these competing codecs? How can you use video today? Where are things going in the future? Videoblog innovator Michael Verdi joins host Jen Simmons for a double-length show on video video video. Karen McGrane talks about planning systems of flexible web content that can be used in a variety of places. And about the need for better content entry workflows. Peter joins Jen again to talk about the magic of Web Socket, and about SPDY & the Amazon Kindle Fire. Fair Use expert Pat Aufderheide joins Jen Simmons to explain when you can use other people's copyrighted material in your work. HTML5 expert Peter Lubbers joins Jen Simmons on the inaugural episode of The Web Ahead to talk about what the heck HTML5, web apps, local storage, offline caching, and web databases are.